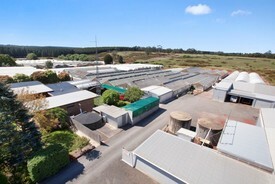 29 Commercial Real Estate and Properties in Victoria Country West are listed in 8 categories. We have 7 Industrial Warehouses for Sale , 6 Retail Shops for Sale , 5 Hotels and Leisure for Sale , 4 Offices for Sale , 4 Development Lands for Sale and 1 Other Commercial Properties for Sale . A beautifully built and amp; recently restored Commercial Retail Shop plus Residence. Caf Restaurant in the heart of Ararats CBD. Current 3 year lease expires 31 October 2016 with a further 5x5 options. Rent $40,000 per annum plus outgoings. Solid Brick construction with ornate period detail. Great central location with a sunny north aspect. Light filled upstairs 3 BR residence/ or offices with new kitchen, period fire place and amp; more. Outside deck area for alfresco dining. Off street car parking from rear laneway. Great Portfolio Investment Opportunity 2 Retail Shops plus Upstairs Residence Rent $31,394 fully occupied (2 tenants) Investment Return of 8.4% yield Building size 328 sq.m. approx. Land size 467 sq.m. approx. 3 Street frontages High Profile central CBD location Adjacent to NAB & CBA banks Dont miss out Enquire now for further info or inspection. Large 24x12x5m Steel Industrial Shed comprising 288 Square metres Colorbond clad, Galv Steel, Web Truss, Clear Span, Portal frame High 4.5m Sliding door for Semi Trailer access Concrete slab floor and amp; concrete apron to front street Land 779 Sqm Located in Quality Park Industrial Estate cul de sac Well sought after and amp; close to Western Highway Ideal for light manufacturing, warehousing or expanding business operations. 5 x 5 x 5 year lease. 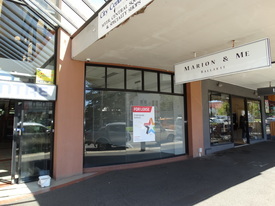 Great Leased Commercial Freehold Investment Property. Prime Barkly Street Central Corner site. Huge 3057 sq.m. site with 3 road frontages for easy access. High exposure corner site opposite car wash. Large Multi Purpose Building around 1,170 sq.m. Rent $36,000 p.a. with annual CPI increases. Good tenant with growing business. Ideal investment with Development potential for the future. Industrial Land And Shed $330,000 - $350,000 exc. ..
Central retail shop in City Centre Arcade Leased at $22,000 p.a. to excellent antique dealer Offering a return of 8.3% Tenant pays all outgoings Ideal arcade shop in the heart of Ballarat Easy access to Myer, Central Square etc.